Welcome to the October 2005 Newsletter - Tyros 2 Special Edition! 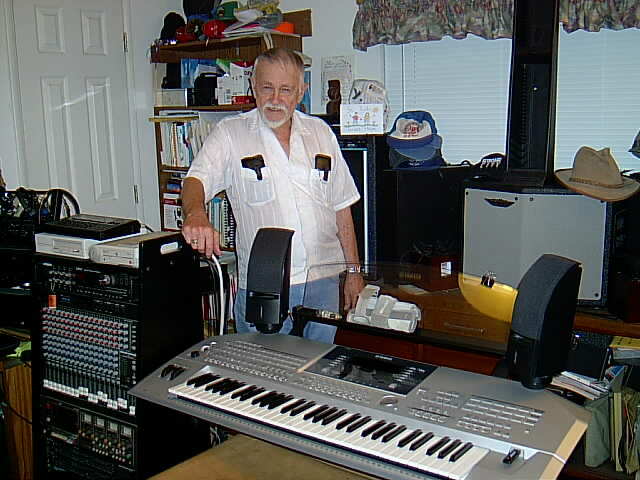 Welcome to the Yamaha Personal Keyboard Owner Newsletter. As a registered member on our site you automatically receive our newsletter, which is emailed monthly, allowing you to catch up and review information you may have missed. Do not forget to visit our discussion forum where you can view the latest posts from our members on topics covering PSR keyboards, Tyros and Tyros 2, PSR-3000, Clavinova and much more. For up-to-date news, make sure you check out our news page. Well without a doubt it has certainly been a busy couple of weeks. In fact for me a busy couple of months getting the site ready for the re-launch you should be now enjoying. Tyros 2 has shocked and amazed, and although there are the usual doubters around, the overall consensus is that the Tyros 2 is a worthy investment even if we have to break open the piggy bank. As the Tyros 2 is a major event in Yamaha's portfolio of technical achievements, I thought it was only fair to send out a special edition Tyros 2 newsletter so we can all take a deep breath and catch up on the latest information. Do not forget, if you have any comments regarding the Tyros 2 that you would like to be considered for our future radio show, you can call our voicemail service on 0207 193 3092. The wait is finally over, not only can you enjoy our new site design and features, but you can read our Tyros 2 preview and hear and view media regarding the new flagship keyboard from Yamaha. In our latest radio show, that lasts nearly half an hour, you can enjoy samples from the Tyros 2 as well as a demonstration from Glyn Madden, Editor of the Yamaha Club Magazine. As we have now announced our new friendship and co-operation with the Yamaha Club Magazine, our latest radio show features an extensive interview with Glyn Madden about our new partnership and his personal interest in Yamaha with a little of his past history. From the official Yamaha German site, you can now download the English (and of course German) Manual and Data Sheet for the Tyros 2. Thanks to the new Data Sheet released by Yamaha Germany, we can now show you the 400 styles available on the Yamaha Tyros 2. Music Finder Non-Cryptic Song Titles Including New Tyros 2! Music Finder which is included with many Yamaha keyboards and Digital Pianos provides a very quick way of setting up your instrument with a style, voice and tempo that will suit a particular song. However a lot of instruments include obscure variations of an official song title due to copyright concerns. We have a list of replacement Music Finder downloads you can use to update your Yamaha instrument with the real names instead of the cryptic alternatives including the extremely new Tyros 2! The interest in Tyros 2 is certainly not fading and instead more and more questions are being asked of this new delight. There are a bunch of Super Articulation voice demonstrations among other samples available at the official Yamaha site. For the musician, no matter what your skill level, to record your performance and share your work is one of the most exciting pleasures as a player. There is nothing quite like receiving feedback and hearing how well you have played or interpreted a piece while also giving yourself the opportunity to analyze your own work. Recording to an Audio CD is one of the best ways to share music in person or if you wish you can also take your recording and convert to a compressed format to share over the internet to a far greater audience. In this extensive article, we show you how to capture the audio, which cables you will need, how to burn to an Audio CD and even how to compress to *.mp3 format. Terry Harriman's Piano Player Article has been extended with Part 2 of his series that originally resided in the Yamaha Club Magazine way back in 1999. Do not forget to also check Piano Player Part 1. If you are a Yamaha Club Magazine subscriber, the chances are your latest magazine has already been sent and you are reading many of the interesting articles contained within while also including Volume 3 of their Radio Show. To help celebrate their 10th Anniversary they have made available to Yamaha Personal Keyboard Owner their very 1st Radio Show (Volume 1) for you to download and listen to. Go to your profile by visiting our forum and clicking the profile icon at the top. Remember by unsubscribing, you will miss out on important Yamaha and site information!